Even if there is no European star coming into this draft, Doumbouya and now Bitadze are pretty optimistic about their first round selection. Underrated until january despite his level of performance in the solid Adriatic League, Bitadze has made scouts change their mind since his signing with Euroleague’s participant Buducnost Podgorica from Montenegro. 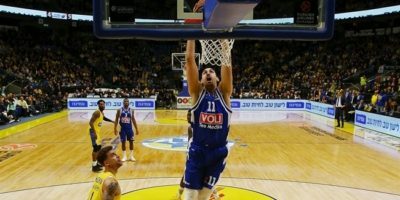 Now playing in the best league outside the US, the Georgian has maintained his production with 11.8pts on 55% FG 6.2rbds and 2.5bl in 12 games (and only 24min per game). Bitadze had two difficult games with 0 and 2pts against CSKA Moscow and Bayern Munich but has bounced back well with 11pts 7rbds against Fenerbahce and 16pts 3bl against Anadolu Efes. It’s rare to have such a young center being good in Euroleague and a pretty tough and solid athlete, there is no reason not to pick him in the first round and even maybe in the top 20. Doumbouya has not yet reached the expectations of a lot of French basketball fans but he keeps intriguing NBA scouts. Since the coaching change at Limoges, the combo forward has had several 10+pts games in Jeep Elite including 12pts on 5/5 against Chalons-Reims on December 21 or more recently in a loss against Monaco his season high 14pts on 2/5 from three and 5rbds. Consistency still is an issue for him and his team as he scored only 4 and 2pts in the two other games of an ongoing three-game losing streak. Doumbouya doesn’t possess the shot creating ability of star forwards like Durant or James but if can be efficient from three, he could be a good finisher at the SF spot. Another intriguing player, Simanic looks like a poor man’s Porzingis due to his combination of size, length, athleticism and outside shooting. Yet, he’s struggled putting it all together as he averaged only 6.9pts and 2.9rbds in 17min for an average FMP Belgrad team last year and was lacking strength to be as dominant as he was in youth categories. Since then, he signed with powerhouse Red Star Belgrad where he’s been a bit better with 7.5pts 3.8rbds and 0.9bl on 40% 3pt in Adriatic League while playing in 2nd tier Eurocup (4.9pts 2.5rbds 0.8bl in 12min). His highlights are pretty impressive and a team may be gambling on him in the late first hoping he could blossom in the League as a stretch four. A late bloomer, Ndoye is a rare prospect due to his size and efficient shooting at the PG spot. Over the last four games, he’s averaging almost 8pts 4rbds 4as and 1.7st on 40% from three. His versatility, potential on defense and the fact that he has room to improve make him an interesting pick in the second round. His team of Cholet, known for its former (and future) draft picks (Beaubois, Seraphin, Gobert, probably Killian Hayes pretty soon), is used to be a launchpad to the NBA for players who have been developed in this quite town of Western France. 5.4pts 2rbds in Eurocup with 19/41 from three in 17 games (14min per game), Syrvidis has the making to be an efficient option from the bench at the SF spot. Despite his lack of all around ability and ideal size/athleticism, the fact than he can knock it from outside so well could be enough to convince a team to pick him in the second round. A major prospect in the youth categories, Samanic struggled last year with Barcelona 2nd team and decided to join Olimpia Ljubljana to get more playing time. This year, playing Adriatic League and 3rd tier BCL, The croatian forward really struggled early and had some encouraging games more recently like his 19pts 9rbds against Besiktas or 9pts 6rbds against Cedevita. He also struggles with consistency as he scored 5 or less points in three of his last six games including 0 on four attempts against FMP Beograd. Contrary to Simanic, Samanic, is not a good shot blocker (8bl combined in 32 games of BCL and Adriatic League) and needs to be more consistent from three (5/24 in Adriatic League). Yet, he’s two years younger and may be more appealing to NBA scouts because of that.